Carleton’s Bachelor of Social Work (BSW) is a four-year Honours degree that places strong emphasis on the interactions between people and their environments. The BSW program combines a liberal arts education with professional social work education. In your first year, you will take a range of courses outside of social work and two social work courses that will introduce you to the profession of social work and the programs and policies of the state. When you choose to study Social Work at Carleton, you will be entering a school that has pioneered the “structural approach” to social work. This approach recognizes that the society in which we live consists of diverse groups of people who have differential access to economic and political power. The ability to explore the connections between individual issues and socio-economic structures provides a basis for critical social analysis, empowerment and liberation. The field practicum is an integral part of the Social Work degree program and offers you an opportunity to apply, test, develop and integrate your accumulated knowledge and skills. The BSW program includes two mandatory field placements; some incoming students may receive transfer credit for the first of these placements from prior post-secondary experience. You will have the chance to choose from a range of organizations and will work under the guidance of a placement supervisor with additional direction provided by a faculty member. You will also have contact with other students through an on-campus field seminar. Both Carleton University and the School of Social Work have an expressed commitment to the principles of educational equity. The School recognizes that some groups of people have been historically disadvantaged and excluded from access to higher education. This includes, but is not limited to, Indigenous peoples, racialized persons, people with disabilities, members of the LGBTQ+ community, and people with low incomes. The School affirms the principle that individuals from all groups should have opportunities to learn and to contribute in supportive environments that validate and develop their knowledge, insights and perspectives. probation, parole and prison services. The Bachelor of Social Work (BSW) at Carleton is an Honours program that provides an innovative approach to social work practice. The School’s orientation places a strong emphasis on the development of strategies for working sensitively with people, both individually and collectively. 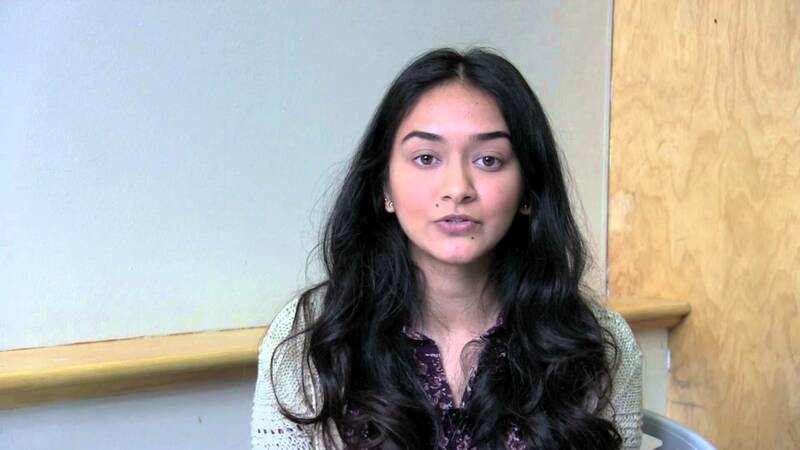 The School also emphasizes the need for a critical analysis of the social policies and administrative practices that affect the lives of people from diverse populations in our society. We will be looking at grades, human service work experience (both paid and unpaid), your personal and social analysis statements, and letters of reference. Be sure to visit admissions.carleton.ca/additional-requirements for more details, including important deadlines. If you have completed secondary school and are accepted into the School of Social Work, you will need to complete 20.0 credits of course work, typically taken over four years of full-time study. Within those 20.0 credits, 10.5 credits must be taken in social work, 2.0 credits are taken from specific disciplines related to social work, 6.5 credits must be taken in other disciplines (not Social Work), and 1.5 credits can be taken either in Social Work or in other disciplines. In your first year of studies, you will take four electives per term along with Introduction to Social Welfare (SOWK 1001) and Introduction to Social Work (SOWK 1002), introductory courses in which you will explore the relationship between social welfare and Canadian society. You will also examine the interrelationships among social work practice, societal change, social problems, social policies and programs. If you already have a Social Service Worker or related diploma and are accepted into the School of Social Work, you will likely enter directly into the second year of the BSW program. Second-year studies will allow you to build a theoretical framework for social work practice, as well as to develop an understanding of the history and theories of welfare. You will be able to explore subjects of interest such as poverty, immigration policy and practice, alcohol and drug use, and programs and services for children and youth. You will also explore the grounding of structural social work, political economy, values and ethics for social work, and develop practice competencies with individuals, families, groups, and communities. If you already have an undergraduate degree and are accepted into the School of Social Work, you will likely enter into the third year of the program. Your first term in the program will give you a grounding in the theory and practice of structural social work. In your second term, you will learn more about social policy and will also complete your first practicum. In this era of globalization where economic and social problems persist, social workers are among those who come into direct and immediate contact with the consequences of poverty and social dislocation. To be a social worker in this environment requires knowledge, skills, energy and a strong commitment to social justice and equality for all people. Carleton Social Work graduates have opportunities to work across a broad spectrum of fields and settings with people from diverse cultures. As a BSW graduate, you might find yourself catching a seaplane to fly into a remote community to provide child welfare services or you might board a bus to begin a day’s work at a downtown youth drop-in centre. Graduates of this four-year Honours program may be eligible to go on to graduate studies in a variety of fields, including social work. 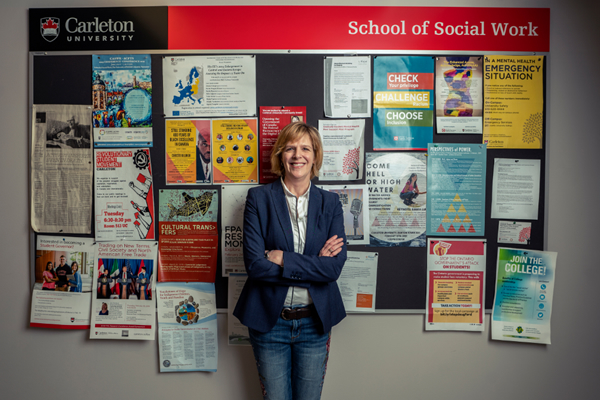 Along with the BSW, Carleton’s School of Social Work also offers graduate programs leading to a Master of Social Work degree and Ph.D. in Social Work. Many professional programs, including law and teaching, encourage well-rounded applicants from a variety of backgrounds to apply. Social Work provides a strong foundation for a number of programs and you are encouraged to pursue your interest in these fields. 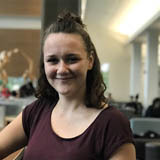 I chose to study Social Work at Carleton because I wanted to gain an understanding of inequality and social issues from a structural perspective. The Social Work program has taught me to analyze situations from a macro perspective, which has allowed me to work effectively with many different people in the community who are facing different types of challenges. In addition to classes, the program has provided me with two great placement opportunities: at the Ten Oaks Project and at the Children's Aid Society.